I spent just over three weeks in England, and very few of my days were sunny and warm. When it wasn’t raining, it was hailing, and when I left the country at the end of May, the weathermen were still predicting snow for the following week. 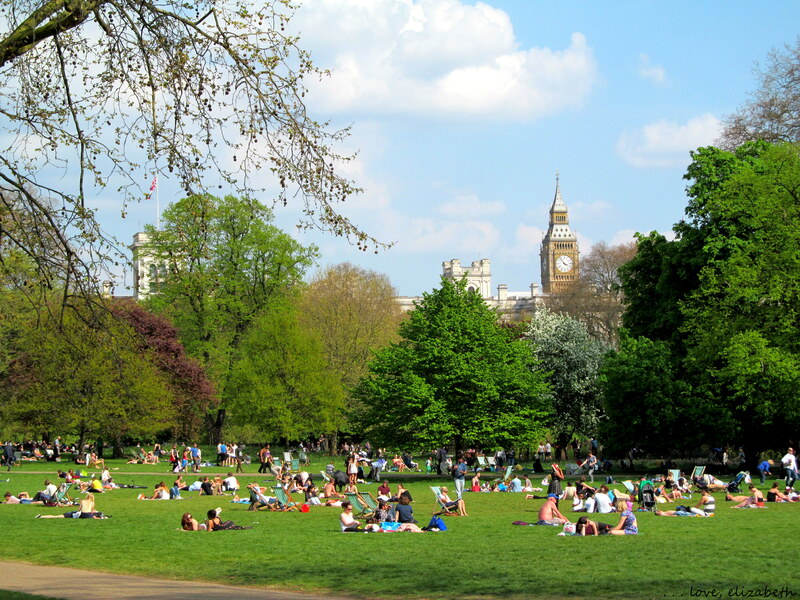 Fortunately, I had one day of wonderful weather during my short visit to London with my friend Molly, and we spent an afternoon soaking up more sun than England saw during the rest of my trip combined.